When our future monkey overlords ponder the decline and fall of the human race - a foregone conclusion, if films like "Planet of the Apes" and "Beneath the Planet of the Apes" are to be believed - they undoubtedly will fault the usual suspects: global warming, nuclear weapons, drug-resistant super bugs, seven seasons of HBO's "Arli$$." Should Dr. Zaius and his banana-breath comrades decide to pin an exact date on mankind's collective jumping of the shark, however, they would do well to consider April 22, 2003, a day that will forever live in idiocy, if not infamy. On an otherwise forgettable Tuesday afternoon - trust us, we were there - the scoop-hungry folks at ESPN News did something rather remarkable: They devoted an entire on-air segment to fantasy baseball. Not the NBA playoffs. Not the NFL Draft. Not real-life baseball involving real-life major leaguers competing for real-life wins and losses. And certainly not - ahem! - actual real-life sports news. Rather, the network spent nearly 10 minutes - time that could have featured, say, Bowflex ads, or perhaps indoor lacrosse highlights - breaking down an activity that, like reenacting Civil War battles, exists primarily in the overactive imaginations of its devotees. After noting that "there's a lot of depth in fantasy pitching right now" - whatever that means - El Jugador then answered a series of viewer questions, most involving thorny, Solomon-straining, fate of the Republic-type dilemmas. Such as swapping Kevin Millwood for Roy Halladay. Or Shawn Green for Terrence Long and Garret Anderson. [Reason No.477 why Fantasy Sports are nothing like real sports: Wes Unseld would never, ever ask ESPN.com to weigh in on a Ben Wallace for Ike Austin trade. Even though, quite frankly, he could use the help]. The most unusual thing about the whole production, of course, was that it wasn't at all unusual. To the contrary, Funston and other oracles of athletic make-believe appear regularly on cable and the Internet - proof positive that we have become a Fantasy Sports Nation, a place where life, liberty and the pursuit of Roto-league jai alai are only a few mouse clicks away. Not convinced? Consider the facts. 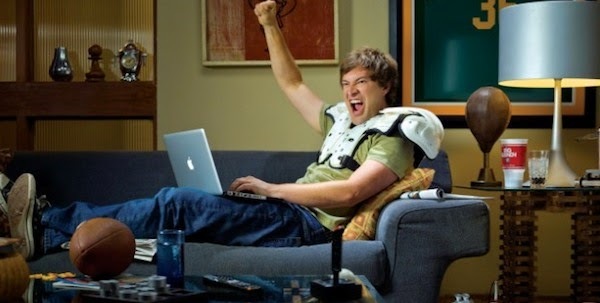 A Harris poll estimates that nearly 30million Americans play fantasy sports. Former New York Gov. Mario Cuomo is an unabashed fantasy baseball junkie. As is former National Security Adviser Tony Lake. The average fantasy player spends $110 a year per sport on the hobby. There are leagues for basketball, golf, tennis, NASCAR, even professional wrestling - which, come to think of it, already qualifies as fantasy sport. An industry trade group estimates that more than a million leagues exist for baseball and football alone. And half of those are probably run out of our office. Needless to say, this is somewhat problematic. And a wee bit embarrassing, given that the average American has a better chance of identifying Melvin Mora's batting average [.271] than locating his native Venezuela on a map. [Hint: above Brazil, below the Caribbean, between Colombia and Guyana. And yes, Guyana is, in fact, a country. You're welcome]. Unlike other habit-forming pastimes - particularly those involving hypodermic needles and/or occasional trips to the unsavory side of town - fantasy sports are easy to get into. All too easy. Just go to one of a few hundred Internet sites, such as Yahoo! Sports, CBS Sportsline, the aptly named Addict Fantasy Sports. In a matter of minutes, you'll be good to go. Usually for $10 to $20 a pop. Sometimes for free. Many services, like the one at ESPN.com, will even do the heavy lifting for you - setting up drafts, compiling statistics, keeping track of trade offers, sending wireless alerts when those offers take place. Don't be alarmed: You won't need a pager. That's what cell phones are for. If you're like some fantasy players - about a third, according to reports - you'll begin with pro football, favored not only because the actual NFL is popular, but also because it requires a modest time commitment. Simply log on once or twice a week to check the standings, shuffle your roster and swing the occasional swap. It's all in harmless good fun, nothing that could possibly intrude on your real life. At least, that's how it starts. After a few weeks of playing, you'll notice that your place in the league standings - and, by extension, all-important bragging rights over your friends - depends largely on the amount of effort you put in. Which is essentially a measure of time. Which means that your weekly roster updates become twice-weekly scans of the free agent pool. Every-other-day examinations of the waiver wire. Daily considerations of the league-wide injury report. Next thing you know, you're managing teams in six different sports. Scanning the cable news ticker for the latest WNBA rebounding numbers. Instant messaging your old college roommate - on the hour, every hour - in a vain effort to deal Todd Pratt for Vance Wilson. Just because you can never have too many backup catchers. Meanwhile, you've grown a Santa-shaming beard, your desk sports a Kilimanjaro-sized stack of unfinished work and your wife thinks that you're probably having an affair, given that [a] you haven't touched her in weeks and [b] every time you get up at 2 a.m. to "use the bathroom," you end up hunched in front of the computer, bloodshot eyes glued to the screen. Of course, all you're really doing is comparing the assist-to-turnover ratios of Carlos Arroyo and Bryce Drew. Fantasy sports are addictive for the same reason gambling is: Both foster a pathology of promise, an compulsive conviction that victory is just around the corner. Even though said corner may as well be in Moscow. Or on the moon, for that matter. All it takes is one more hand, one more spin of the roulette wheel, one more Evan Eschmeyer-for-Adonal Foyle trade. Ad infinitum. Start in a modest league among friends, and unless you have the self-control of Gandhi, it's only a matter of time before you're divorced, unemployed, sleeping on a stack of fantasy soccer magazines and ponying up your last $1,250 to enter the 552-player, $200,000 grand prize World Championship of Fantasy Football. Which you darn well would have won if Michael Vick hadn't dislocated his shoulder in Week 2. That no-good bum. Though fantasy sports have much in common with various forms of illegal gambling - save the colorful bookies and broken kneecaps - they are considered games of skill, not chance, and thus sheltered from state gaming laws. This, of course, is laughable. Fantasy sports offer the illusion of control. A chance to be Dan Snyder without the megabucks. George Steinbrenner without the ego. Jerry Jones without the Jacko-nian plastic surgery. In reality, however, fantasy owners are just as subject to the capricious whims of Lady Luck as real-world owners. Maybe even more so. Game called on account of rain? Tough break. Fan interfered with a home run-robbing catch? Stinks to be you. Star player sidelined after chipping a tooth on a frozen chocolate donut? Life's unfair. Delusional caddy told your fantasy golf ace to pull out an ill-timed driver? Hey, Tiger shouldn't have listened to him in the first place. Listen up: In all honesty, you'd be better off playing the ponies. Or putting your valuable time and hard-earned money into cockfighting. Fact is, less can go wrong. In the minds of many, fantasy sports players are dweebs. Nerds. Shower-loathing, "Star Trek" convention-going recluses who sit about two notches above the Unabomber on the Great Chain of Social Being. In a spasm of kindness, Sports Illustrated's Rick Reilly once wrote that fantasy baseball fans "smell like goats." As noted earlier, plenty of normal, productive, even distinguished citizens play fantasy sports. People with jobs, girlfriends, interests outside Dungeons and Dragons and debating who would win in a fight, Optimus Prime or Bruce Lee. People who wouldn't dream of dressing up in a Starfleet Command uniform and waiting in a two-hour line to secure William Shatner's signature, let alone donning fake medieval armor and beating each other up with padded swords. One polling firm - reputable, we should add - even estimates that almost 6.5million women play fantasy sports. Which means that yes, Virginia, you actually can get lucky while discussing Carlos Beltran's on-base percentage, something that came as news to us. Still, as hobbies go, fantasy sports are undeniably dorky. For one, they encourage and reward the ability to rattle off reams of useless statistics. Much like shooting a 65 in "Golden Tee," this is a skill that never, ever fails to leave women profoundly unimpressed [unless they're part of that 6.5million. In which case, you better know your stuff]. Second, and more crucially, fantasy sports are essentially a form of glorified collecting. Think baseball cards. Only without the free gum. Players collect numbers - batting averages, touchdowns, assists per game - the way goofballs collect Olympic pins, grown men collect comic books, obsessive/compulsive mother-daughter teams collect Barbie dolls. Now, do any of the aforementioned folks smell like goats? Or even yaks? Probably not, except for the comic book guys. Will fantasy sports increase your interest in real-world sports? Absolutely. More than you can imagine. Which is why all of the major sports offer fantasy leagues of their own. Get hooked, and you'll follow players, teams, even entire leagues that you never knew existed, let alone cared about. But you'll do it for the wrong reasons. Fantasy sports make you promiscuous. Sleazy, even. You'll go to sleep watching MLS and wake up in a NASCAR undershirt. Open your arms and root for anyone. So long as they help your bottom line. It's not personal. It's business. Forget emotion. Statistics are everything. Hate the New York Yankees? Not when Bernie Williams is your starting fantasy center fielder. Love Marshall Faulk? Not when he rips off a 200-yard game against your fantasy football defense. Pretty soon, you'll start paying more attention to the bottom-of-the-screen ticker than whatever game you happen to be watching. Just in case, you know, an incorrigible jerk like Ricky Davis drops 30 on the Clippers. Which would vault you into second place. Ultimately, inevitably, fantasy sports lead to the greatest betrayal of all: rooting against your favorite team. After all, the point is to win. And you can't do that by simply drafting your home team's roster. Even if you're a Los Angeles Lakers fan. In fact, fantasy players who faithfully select their favorite athletes are generally seen as pigeons and suckers, same as the dopes who always pick Princeton in the NCAA tournament pool, just because they went to school there. Like they're so smart. To put it another way: Patrick Ramsey may be No.11 in your program and No.1 in your heart. But if you have an ounce of fantasy sense, he's No.3 on your depth chart. At best. What's the harm in a little fantasy? No harm at all - if you're talking "Fantasy Island." Problem is, fantasy sports don't end with a tidy moral and a wave from Tattoo, let alone a return to reality. In 1979, Daniel Okrent invented and sketched out the basic rules of Rotisserie Baseball during a flight from New York to Texas. Decades later, he said that he felt like Robert Oppenheimer, the father of the atomic bomb. He may have been understating matters. Fantasy sports have grown so large, so popular, so pervasive that they're taking on the trappings of actual sports. Think dedicated magazines and Web sites. The aforementioned World Championships. A glut of professional fantasy analysts, all of whom are actually getting paid to advise on the relative value of Joe Randa vis-a-vis Jeff Cirillo. There's even a Fantasy Sports Hall of Fame, perhaps the first such institution established to honor individuals who are, without shame, legends in their own minds. More than a mere punch line, the Fantasy Hall of Fame opens the door to a whole new world of fantasy sports: A Mobius strip league, in which players draft the very best fantasy owners, then compete based on said owner's fantasy winning percentages. Should such a league comes to pass - and it could, given that we already have everything else, save fantasy Special Olympics - two thoughts come to mind: We may as well hand things over to the chimps. And dibs on Funston.